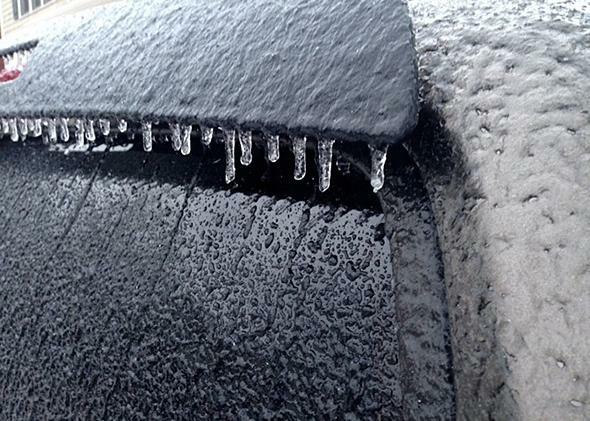 Winter storm Pax: Deep South facing “crippling” Category 5 ice storm. So it begins in Atlanta. 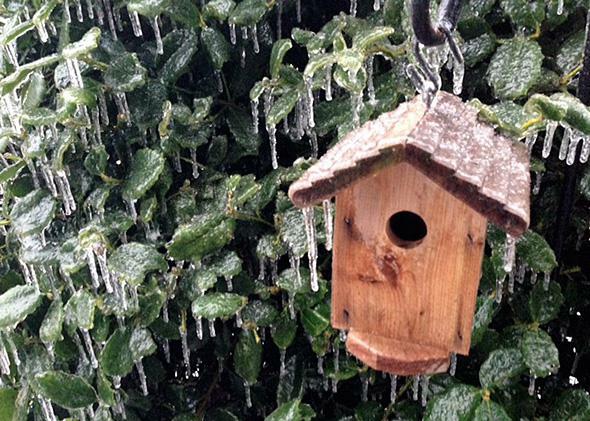 Believe it or not, the forecast for the Deep South’s impending icy apocalypse just got worse. As the first pellets of sleet began pattering against windows in Georgia, new data were gathered overnight during a rare wintertime mission by Air Force Hurricane Hunter aircraft. Much as is typically done in a landfalling major hurricane, these data were fed into early morning weather computer models, in an impromptu experiment to increase forecast accuracy just hours before the storm struck. Image by Atlanta National Weather Service. We are watching a winter storm of historical significance beginning to unfold. In case it hasn’t been made clear already…These totals could result in widespread power outages that may last for days. If residents have not completed their preparations it may be too late. 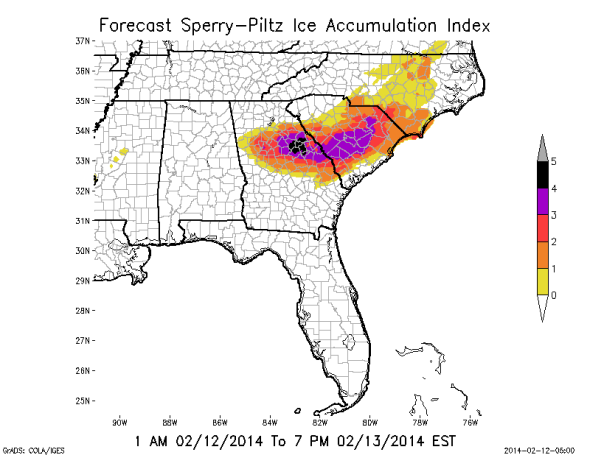 is a very very big deal especially from metro Atlanta east where the most significant ice totals are forecast. Stay safe out there! The storm has been described by forecasters as “catastrophic,” “crippling,” and “historic” for days now and comes on the heels of an epic traffic nightmare just two weeks ago in which a slow government response to 2 inches of snow in the Atlanta area stranded countless commuters and turned schools into impromptu slumber parties. Government officials wasted no opportunity to display their preparedness this time around, with Georgia Gov. Nathan Deal issuing a state of emergency three days ago. The ingredients of the storm are already in place. Cold air is rushing southward from the Arctic, funneled along the Appalachian Mountains. Warm air from the Gulf of Mexico is pushing northward, bringing plenty of moisture to coat a vast swath of roads, roofs, and trees with an increasingly thick glaze of ice. There may even be a brief period of “thunder-ice,” a phenomenon I surely have never experienced. These two storm systems are in the process of merging, an act meteorologists call “phasing” that usually occurs much further north. The dominant storm will grow into a winter beast over the next 24 hours, eventually dropping more than a foot of snow from the Deep South to Washington, D.C., New York City, and New England over the next two days. A reasonable worst-case scenario of Wednesday’s storm could produce a crippling blow to the Southeast. Image by NWS Weather Prediction Center. In the Atlanta area, people can now expect more than 4 inches of snow topped by as much as 1 inch of ice. The snow total is about double that of late January’s crippling winter storm, but it’s the ice that has forecasters most concerned. 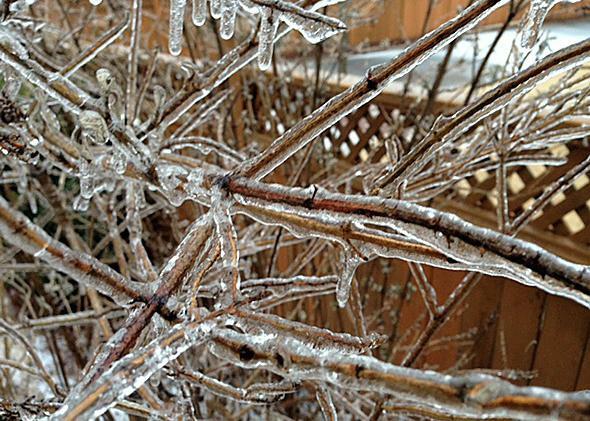 An inch of ice can add thousands of pounds of additional weight to trees and power lines. Add on gusty winds of 20-30 mph, as are also forecasted, and you have a recipe for disaster, with 100-year-old oaks and hickories snapping like matchsticks. As a result, Wednesday’s storm could have lingering impacts across the region for years, if not decades. Indeed, with the added pressure of a warming climate, the city has been doing as much as it can to encourage people to plant more trees, not only for their ability to take in excess carbon dioxide, but also for their profound cooling effect on hot summer days. The urban heat island—a microclimate phenomenon of which Atlanta is literally a case-study (seriously, here’s the NASA satellite images)—can boost temperatures in the urban, treeless core of cities by as much as 5 degrees Fahrenheit. That means this summer’s hottest days might be a degree or two warmer factoring in the tree-crushing impacts of the current ice storm. Today’s anticipated massive tree loss across the entire Southeast could have lingering impacts for future forest fires as well, as the region is still recovering from a long-term drought. One measure of the storm’s severity, scaled to roughly correspond with similar indexes used to gauge tornadoes and hurricanes predicted today’s ice storm would reach Category 5, the highest level on the Sperry-Piltz Ice Accumulation index. That’s an increase of one category since yesterday’s forecast from Atlanta eastward into South Carolina. The most impressive thing so far this morning is not how it looks outside, but how it sounds. There is a constant crackle and hiss. … From afar, it just looks like we got a very light dusting of snow. On closer inspection, it’s not snow but lots of tiny little pellets of ice. The prettiest pictures of the morning are the trees and bushes—cue the Frozen soundtrack! She also sent along some photos. Catastrophic damage to entire exposed utility systems, including both distribution and transmission networks. Outages could last several weeks in some areas. Shelters needed. But as long as “shelters” include grocery store aisles (which, conveniently, have been cleared of all bread and milk to make more room! ), I think we’ll be OK.